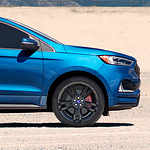 Blog Post List | Donley Ford Lincoln of Mt. Vernon Inc.
Three row midsize SUV's are gaining popularity not only because they perform better than other models of vehicles but also because they are extremely comfortable to travel in. That is why our team of experts at Donley Ford Lincoln of Mt. Vernon Inc. are so excited to tell you all about the various comfort features in the all new 2019 Ford Flex! 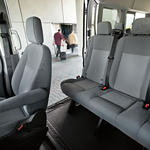 If you want to travel around or beyond Mount Vernon in a wagon while enjoying the comforts of home, you'll benefit from driving a Ford Transit Passenger Wagon. This Ford automobile is a featured product at Donley Ford Lincoln of Mt. Vernon Inc. Families love their Ford Edge SUVs for the roomy and comfortable interior. The technological features that come with the mid-sized vehicle are no less appealing. We have the 2019 models in our inventory. Stop by and go for a test drive. The Edge has a number of assistive features designed to save on fuel and enhance control. The cruise control system automatically adjusts to the flow of the traffic by slowing the vehicle and resuming speed as needed. 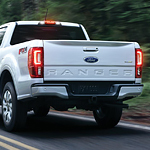 When you buy the newest pickup truck offering from Ford, the mid-size Ranger, you know you're going to get a workhorse vehicle that will be your partners in the toughest situations. That's why our customers at Donley Ford Lincoln of Mt. Vernon Inc. love this truck as it can take you anywhere, yet the Ranger is much more thanks to its inherent technology. 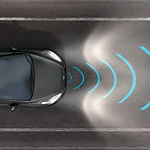 Are you interested in the technology that is found in a vehicle more than any other details about that vehicle? 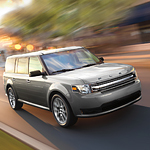 You should know that the Ford Flex is a popular midsize SUV with three rows of seats and a number of advanced technology features. For its 2019 lineup of trucks, cars, and SUVs, Ford has announced in a press release that it will offer the new Ford Co-Pilot360, which is a suite of driver-assist technologies. At Donley Ford Lincoln of Mt. Vernon Inc. consumers, it is our goal to keep our customers informed about the innovations that come with the models in our inventory. 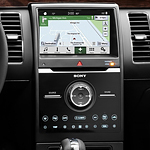 You can read further to learn about a few of the features that come with the Ford Co-Pilot360. Traditional keys are a thing of the past with the new Ford Escape. 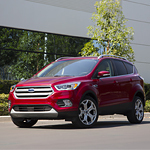 This popular compact SUV is available at Donley Ford Lincoln of Mt. Vernon Inc. with an innovative Intelligent Access key. The unique key FOB communicates wirelessly with the Escape to provide access and more. The crew at Donley Ford Lincoln of Mt. Vernon Inc. are more than excited because we now have the Ford C-MAX on the lot. This compact hybrid is growing in popularity because of smart features like these. 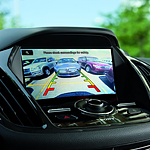 The rear back-up camera in the new Ford C-Max is going to improve visibility when you have to drive in reverse. The center console information station becomes the camera monitor automatically as the vehicle gets shifted into reverse, giving you a clear view of all the possible obstructions that may be in the path of the vehicle as you drive.